On this page you can consult informations about distances and roadmaps from Mildura Airport to major cities and places in Australia. Situated in Mildura in the Victoria region, Glenbar cottage Yelta features a terrace and lake views. Guests staying at this holiday home have access to a patio. This hotel is 11.02 km from city center. 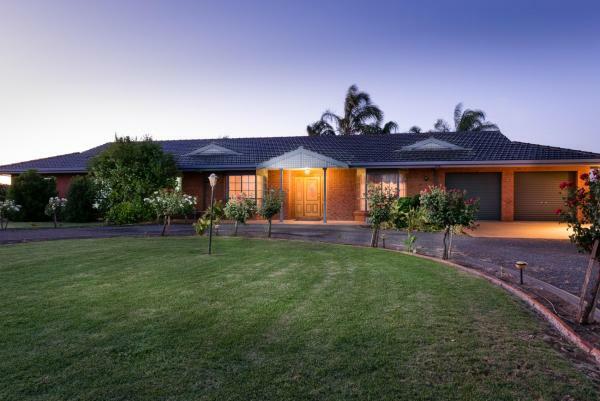 Featuring a garden, Cabarita Lodge provides accommodation in Cabarita. Complimentary WiFi is featured. All units feature air conditioning and a TV. There is also a kitchen in some of the units equipped with an oven, a microwave, and a toaster. This hotel is 1.71 km from city center. 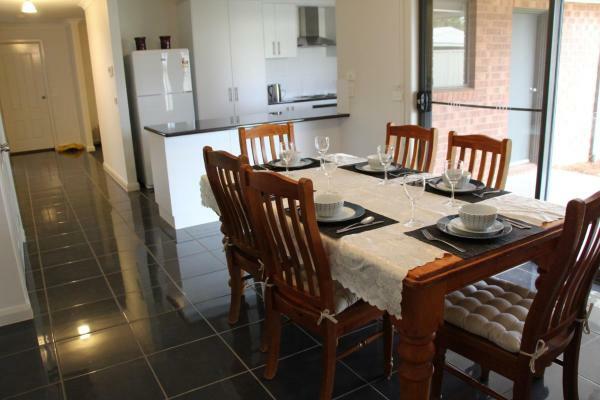 Vineyard Retreat Mildura, a property with barbecue facilities and a garden, is set in Mildura, 10 km from Paddlesteamers Melbourne & Rothbury. Guests staying at this holiday home have access to a fully equipped kitchen. This hotel is 1.85 km from city center. 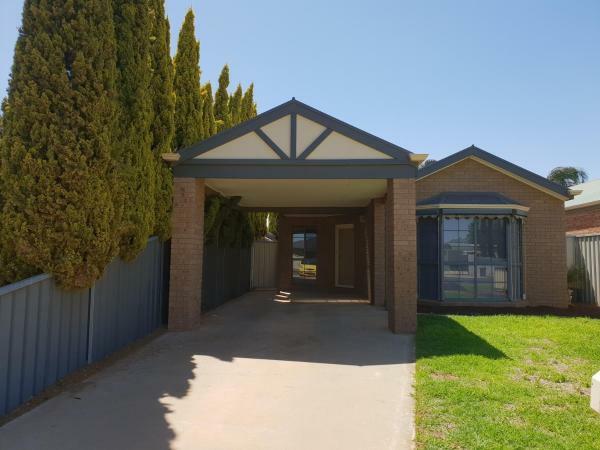 Boasting garden views, Montana Mildura provides accommodation with barbecue facilities, around 6 km from Paddlesteamers Melbourne & Rothbury. The accommodation has free WiFi. This hotel is 4.43 km from city center. 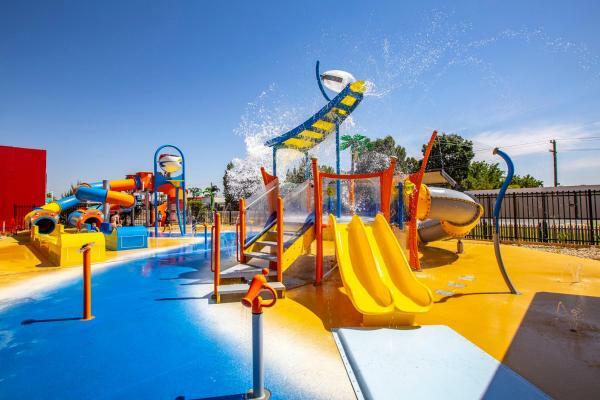 Located in Mildura, Golden River Holiday Park features a heated outdoor swimming pool with a water slide and splash pad. Guests at this tranquil retreat can enjoy a scenic along the banks of Murray River, just 100 metres from the property. This hotel is 7.09 km from city center. 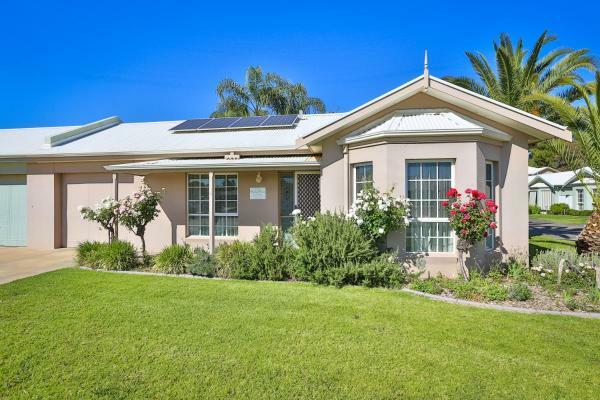 SAN Mateo provides spacious accommodation in Mildura, just a 10-minute walk from the town centre. There is a public swimming pool, parks, shopping centre and restaurants within a 5-minute drive away. This hotel is 4.69 km from city center. 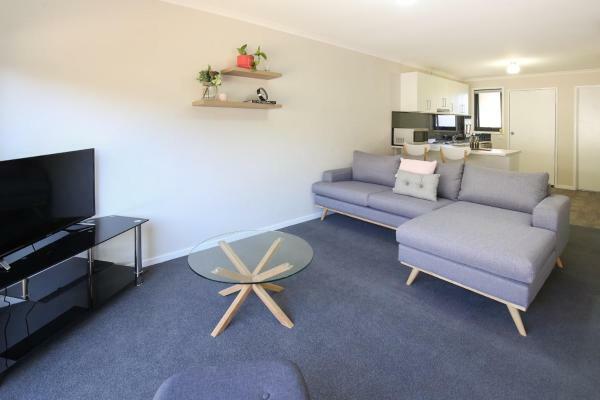 Located in Mildura, 4.2 km from Paddlesteamers Melbourne & Rothbury, Allure Apartments - Centro provides a living room with a flat-screen TV. Guests staying at this apartment have access to a fully equipped kitchen and a patio. This hotel is 5.30 km from city center. Located in the heart of Mildura, guests enjoy an outdoor pool, a small kids playroom and inflatable jumping pillow at BIG4 Mildura Getaway. All accommodation features a patio and a fully equipped kitchen. This hotel is 5.19 km from city center. Situated on an 18-hole golf course, just 5 minutes' from the city centre, Mildura Golf Resort offers air-conditioned rooms with free WiFi. Guests enjoy an outdoor swimming pool. All rooms have an outdoor seating area overlooking the golf course. This hotel is 7.33 km from city center. 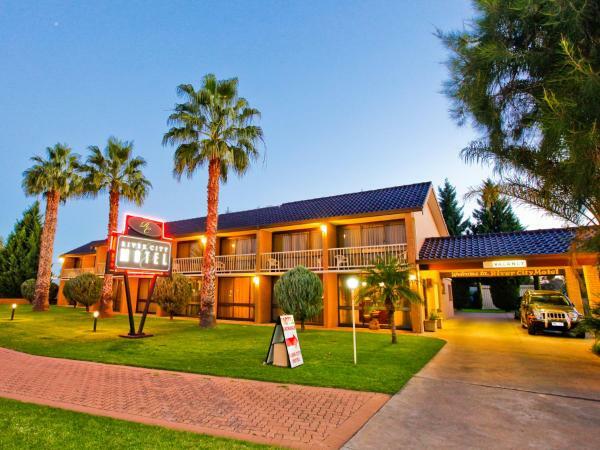 Offering an outdoor pool and a restaurant, Early Australian Motor Inn is located in Mildura. Free WiFi access is available. Mildura Airport is an 8-minute drive away. Each room here will provide you with air conditioning and a minibar. This hotel is 5.42 km from city center. 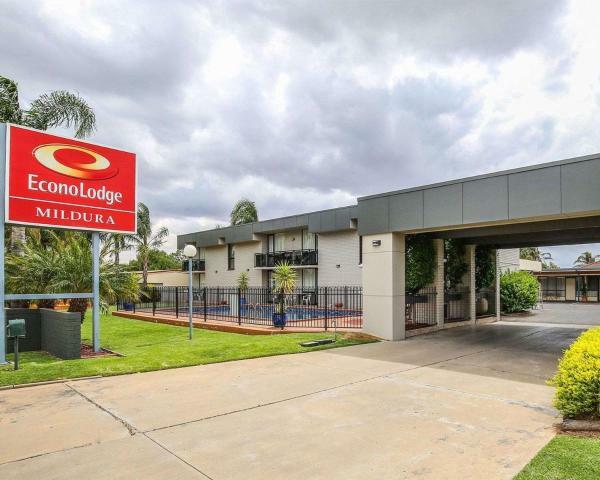 Econo Lodge Mildura offers comfortable accommodation within walking distance of the heart of Mildura. The motel offers free Wi-Fi internet access and cable TV in every room. This hotel is 5.56 km from city center. 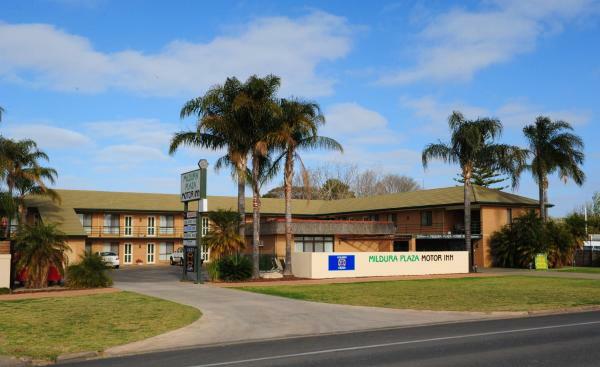 Offering free Wi-Fi, free on-site parking and a solar-heated swimming pool, Mildura Plaza Motor Inn is just 5 minutes’ drive from the Murray River. All accommodation features a flat-screen TV, a refrigerator and kettle. This hotel is 5.37 km from city center. 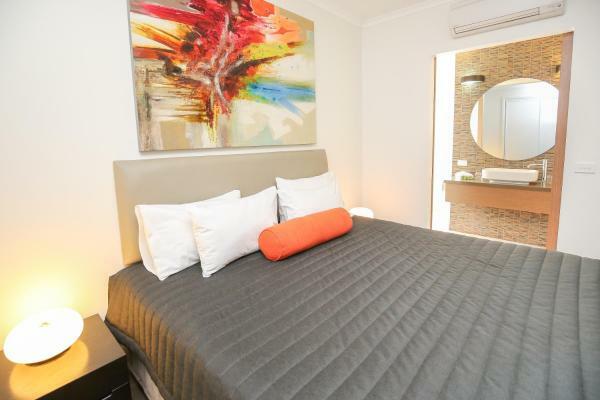 Offering rooms with free Wi-Fi, this multi award-winning hotel is just a 5-minute drive to Mildura’s town centre and the Murray River. It features an outdoor saltwater swimming pool and barbecue facilities. This hotel is 5.68 km from city center. 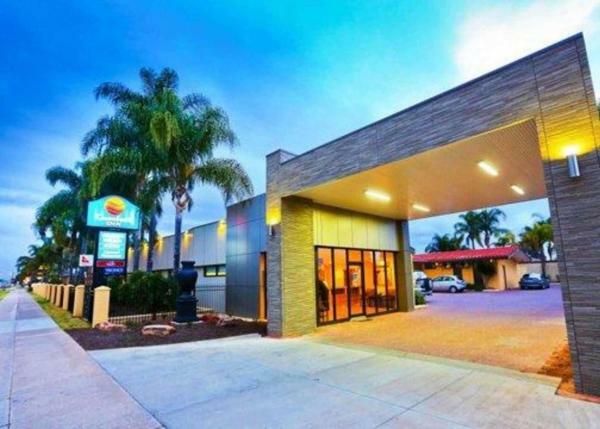 Featuring an outdoor swimming pool and free cable TV, Mildura Motor Inn offers comfortable accommodation with free car parking in the centre of Mildura. Free WiFi is available. This hotel is 5.72 km from city center. 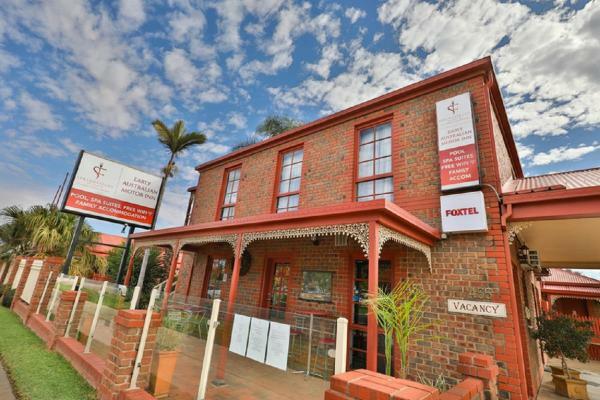 Boulevard Motor Inn is located on Mildura Main Street, a 5-minute walk from Centro Shopping Complex. It offers a restaurant, an outdoor pool and barbecue facilities. Free parking is provided. This hotel is 5.91 km from city center. Featuring free Wi-Fi and an outdoor swimming pool with spa pool, Rivercity Motel offers comfortable rooms with either a private balcony or parking right at your door. Guests also enjoy free in-room continental breakfast. This hotel is 5.52 km from city center. Situated in Mildura, within 4.1 km of Paddlesteamers Melbourne & Rothbury, The William is an accommodation offering garden views. This holiday home has a garden. This hotel is 5.84 km from city center. 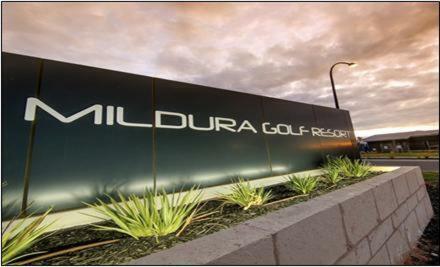 Tee Off Milura is located in Mildura and offers barbecue facilities and a garden. With garden views, this accommodation offers a patio. This air-conditioned villa features a fully equipped kitchen, a dining area and a flat-screen TV. This hotel is 7.60 km from city center. 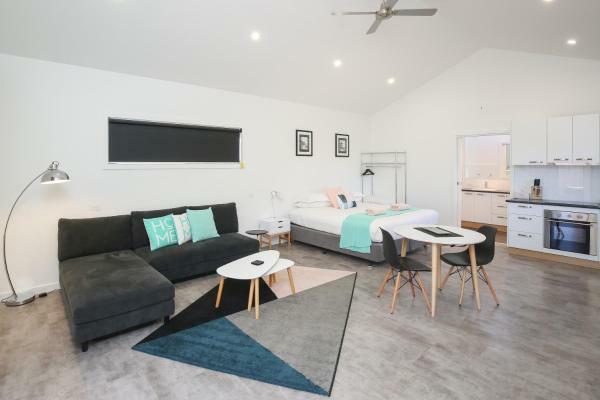 Set in Mildura, 3.2 km from Paddlesteamers Melbourne & Rothbury, Mildura Inlander Resort has a number of amenities, including a seasonal outdoor swimming pool, a tennis court and free WiFi. It features a restaurant and a fitness centre. This hotel is 6.01 km from city center. 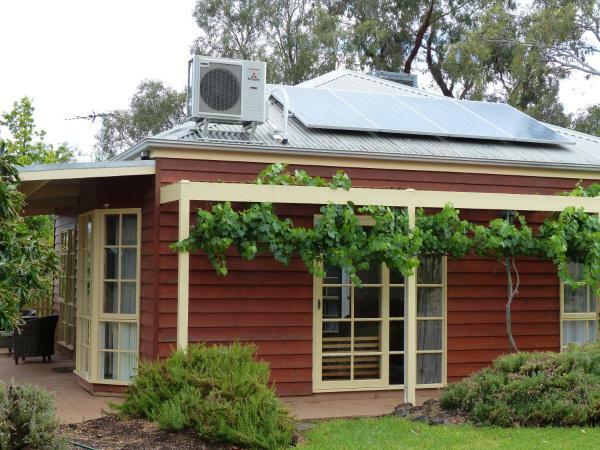 Situated 3.3 km from Paddlesteamers Melbourne & Rothbury in Mildura, The 19th Hole Mildura offers accommodation with a kitchen. This property offers access to a patio. This hotel is 7.55 km from city center. Just a 20-minute walk from Mildura town centre, Vineland Motel features an outdoor pool and BBQ facilities. All air-conditioned guest rooms offer a lounge area with a flat-screen TV. 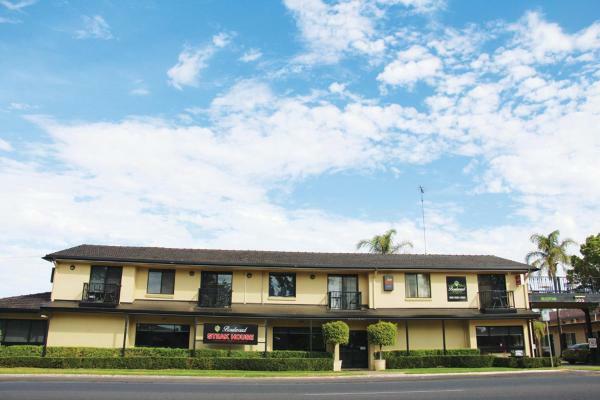 Vineland Motor Inn is a 3-minute drive from Mildura Centre Plaza. This hotel is 6.14 km from city center. 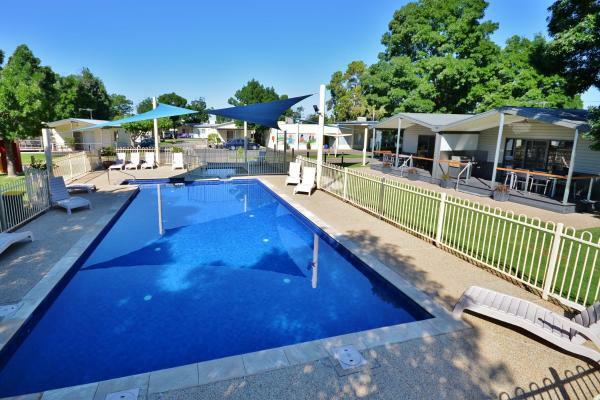 Set in Mildura in the Victoria region, All Seasons Mildura Holiday Park offers accommodation with free WiFi. This hotel is 5.61 km from city center. 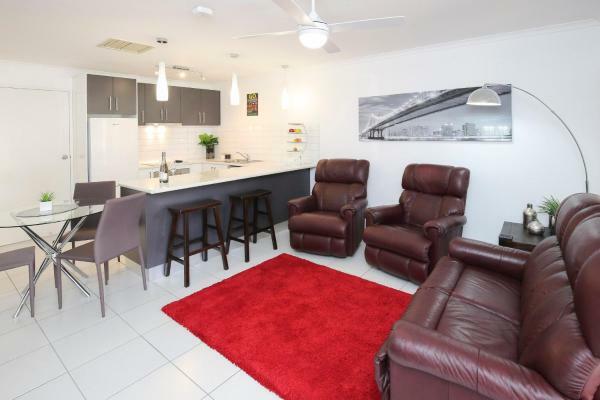 Indulge Apartments Ontario offers luxury self-contained accommodation with free internet access and free guest laundry facilities. Each apartment has a large high-definition flat-screen TV with DVD player. This hotel is 7.34 km from city center. 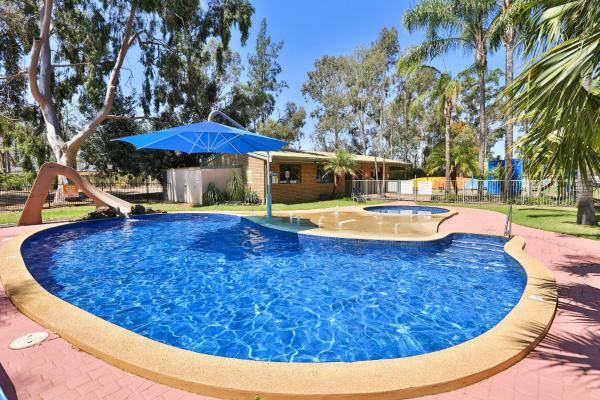 Boasting an outdoor swimming pool and BBQ facilities set in lovely gardens, Mildura Holiday Villas are just 5 minutes’ drive from Mildura Train Station. 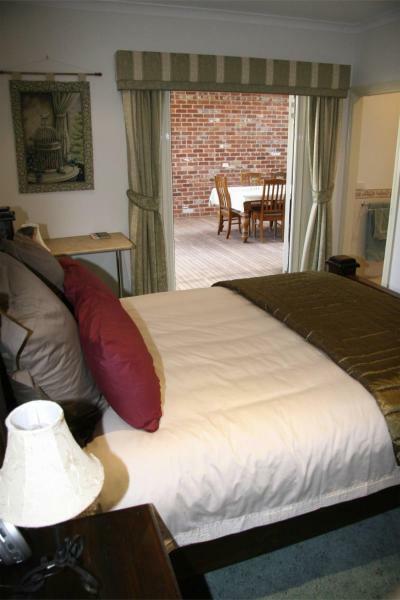 The property offers self-contained accommodation with free Wi-Fi. This hotel is 6.87 km from city center. Offering a swimming pool, a restaurant and a bar, Cottonwood Motor Inn is 3 minutes’ drive from Mildura’s town centre. All rooms offer a flat-screen TV with satellite channels. Guests enjoy an hour of free Wi-Fi each day. This hotel is 6.38 km from city center.